Eintracht Frankfurt stole a march on Borussia Dortmund on Matchday 12 with a win which took them and not their guests into third place in the Bundesliga. It was backs to the wall stuff for much of the 90 minutes at the Commerzbank Arena, but the resilient Eagles held firm for three important points which underline their high-flying credentials this season. Fantasy: Find out how Jesus Vallejo fared for your Official Fantasy Bundesliga team here. 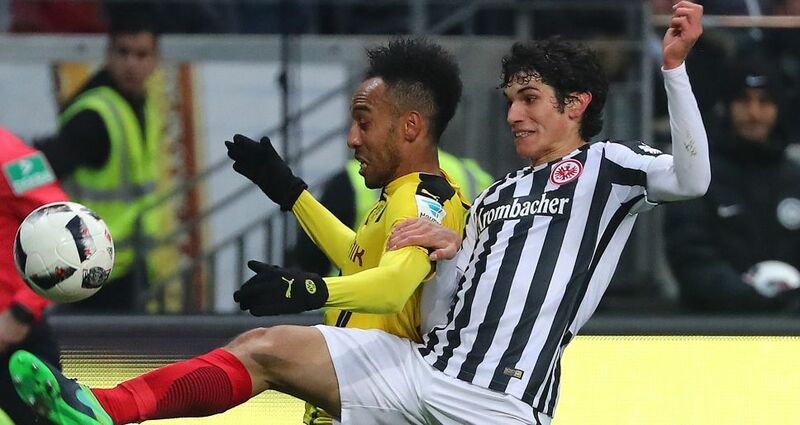 19-year-old on-loan Real Madrid CF defender Jesus Vallejo played a key role in keeping Dortmund out and he spoke afterwards of a job well done and the strides both he and the club are making this season. Question: Was that your toughest challenge in the Bundesliga so far? Jesus Vallejo: You simply cannot keep a team like Borussia Dortmund quiet for 90 minutes. Every challenge is difficult – some you win, some you lose. The important thing is that you always have another team-mate covering your back. We can be proud of what we've achieved against Dortmund – it really was a great team performance. Question: In what areas have you improved most in the past few months under Kovac? Jesus Vallejo: I've made improvements in all areas. For example: in how I read the game and anticipate game situations, or when you can take risks and when it's better to play a safe pass. I've also learnt how to stick to a line and with my fellow defenders. I've learnt a great deal from this coach and his staff, but also from David Abraham, who is always there to give me help and advice.